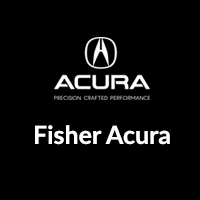 There are many pre-owned cars to choose from near Golden, but if you’re looking for a selection that’s both affordable and reliable, it’s tough to beat the lineup at Fisher Acura. We have a variety of used models to choose from—including Certified Pre-Owned Acuras, luxury used cars from BMW and Audi, and dependable domestic and foreign brands like Honda, Toyota, and Chevy. Each of our used cars has been inspected for quality so you can drive home with peace of mind. Check out your used car financing options at our dealership today! REDUCED FROM $29,745!, EPA 36 MPG Hwy/30 MPG City! CARFAX 1-Owner, Excellent Condition, ONLY 8 Miles! White Orchid Pearl exterior and Black interior, Sport Touring trim. NAV, Sunroof, Heated Leather Seats, Alloy Wheels, Turbo. READ MORE! KEY FEATURES INCLUDE . Rear Spoiler, MP3 Player, Sunroof, Aluminum Wheels, Keyless Entry. Honda Sport Touring with White Orchid Pearl exterior and Black interior features a 4 Cylinder Engine with 180 HP at 6000 RPM*. Serviced here, Non-Smoker vehicle, Originally bought here, New Tires, Local Trade EXPERTS ARE SAYING Edmunds.com's review says All around, the Civic's driving performance is top-notch, with strong brakes and accurate steering.. Great Gas Mileage: 36 MPG Hwy. AFFORDABILITY Reduced from $29,745. MORE ABOUT US Fisher Auto of Boulder serves the greater Denver area including Longmont, Broomfield, Lafayette, Louisville, Erie, Westminster, Thornton and Brighton. Stop in today or call 303-245-6406 to speak with a brand specialist. THE INFORMATION INCLUDED ON THIS WEBSITE DOES NOT CONSTITUTE AN OFFER TO SELL. THE INFORMATION MIGHT BE INCORRECT AND THE DEALERSHIP IS NOT LIABLE FOR ANY ERRORS. Accessories and color may vary. When you shop for pre-owned cars at Fisher Acura, you’ll have access to an incredible selection of sedans, SUVs, trucks, and more. Drivers in Arvada should also have a look at our new vehicle specials for accessible pricing on a variety of new Acura models. Make the trip to see us at our dealership in Boulder today, or give our staff a call for more information about our current pre-owned lineup and offers.